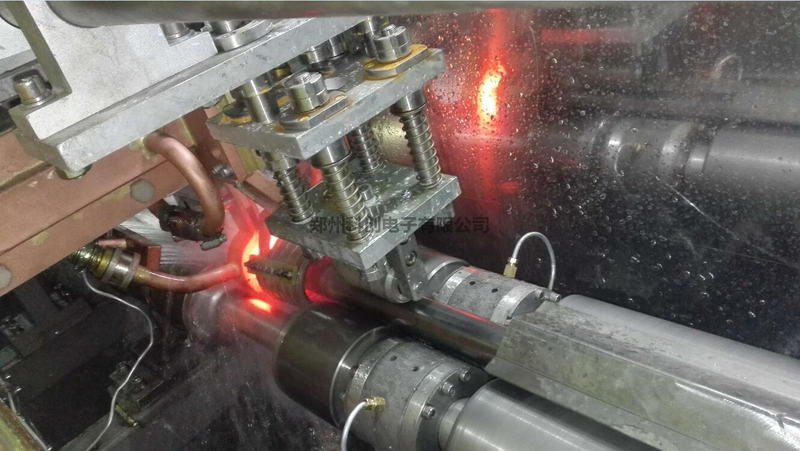 The steel pipe heat treatment line has dual channel operation, can be controlled centrally, and can be operated independently by separate channels, which is convenient for operation and conversion. 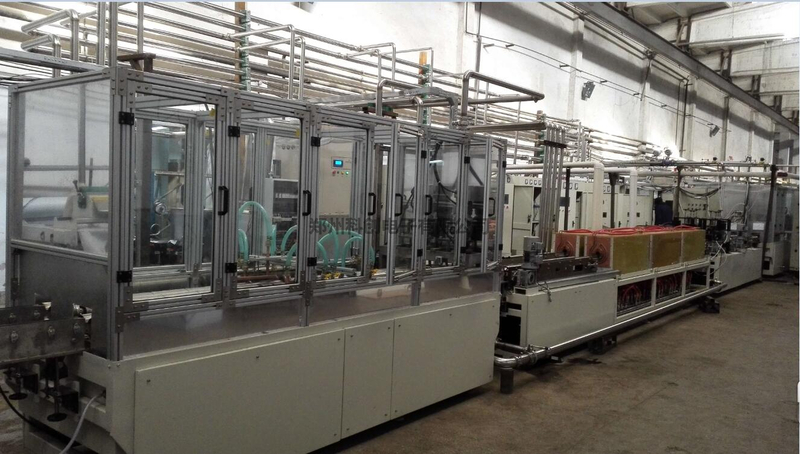 After "pipe product" is put into the production line by manual centralization, the workpiece is fed into the conveyor belt of production line, and the smooth conveying, rotation, heating - cooling (quenching）, conveying, heating (tempering）, cooling, unloading and so on are completed automatically by the production line. No manual operation is needed in the process (after adjusting the production line）, it belongs to the automatic steel pipe quenching and tempering production line. 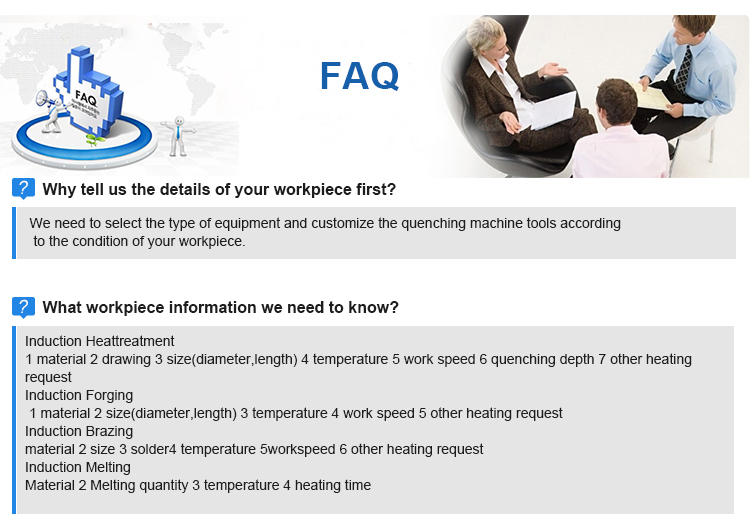 5. protect function: overrun conditions (such as overload, overtemperature, workpiece lost speed, failure) alarm or shutdown functions. 10. The water cooling part of the power supply is made of copper pipe to reduce the formation of scale. 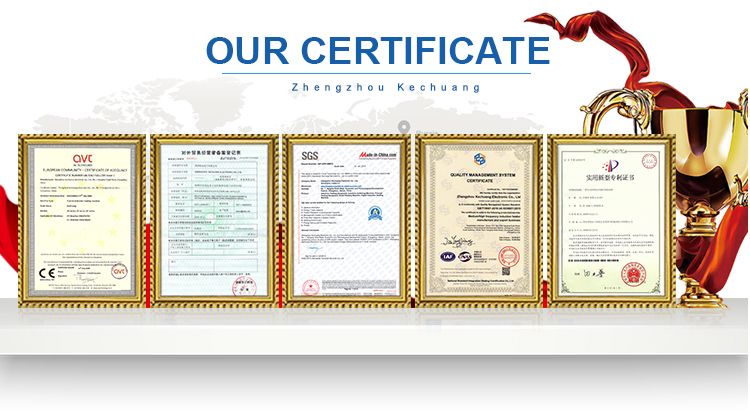 All the water pipe connectors adopt 3 / 8 "copper triplex quick change connector, which is convenient for inspection and repair."